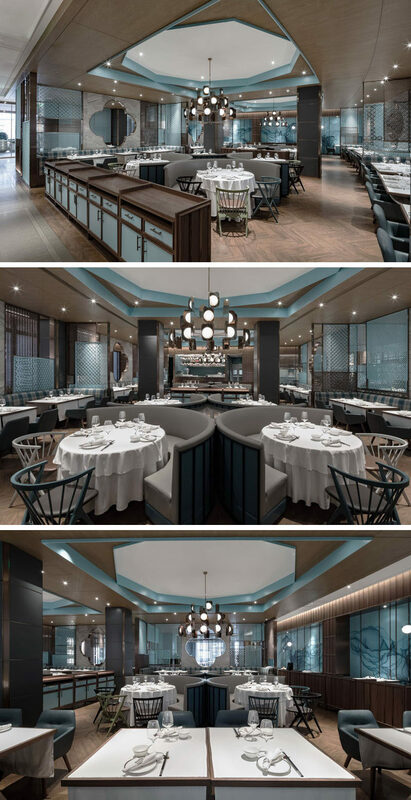 Golucci Interior Architects have recently completed the design of the Huayue Court Peking Duck Restaurant that’s located in Shanghai, China. The interior of the restaurant combines traditional elements with modern expressions to create a welcoming restaurant. On one wall there’s an artistic ink and dye pattern in shades of blue on embossed glass. 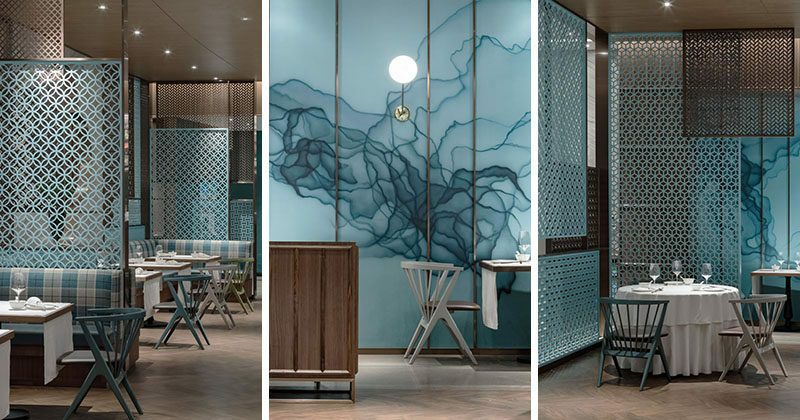 Light blue and wood elements are featured throughout the restaurant in a variety of ways, like the furniture, walls and screens. In the main dining area, a decagon ceiling feature and chandelier are positioned above curved seating booths. Also in the main dining room is a seating area with banquette seating and a modern interpretation of a Chinese garden window. 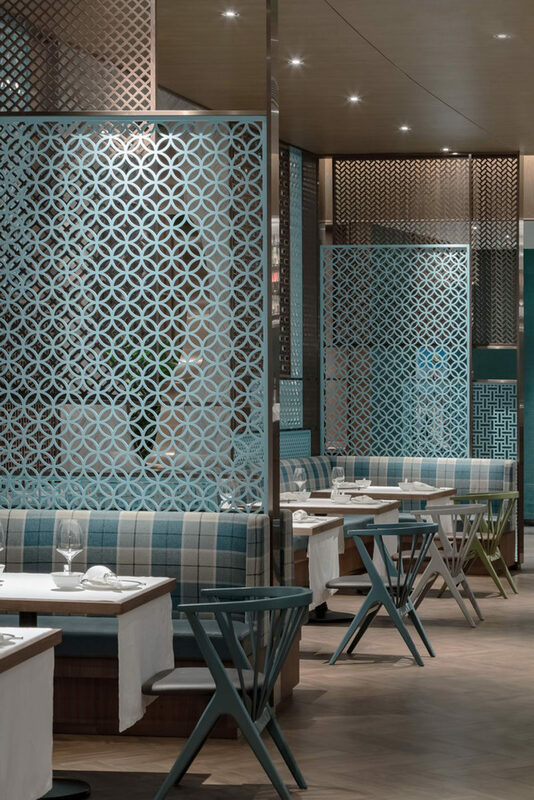 Throughout the restaurant, transparent decorative screens provide a patterned element to the interior. The decorative screens are also used to create a separation between guests, allowing for a sense of privacy but at the same time allowing light to pass through.